If you’re a small business owner, you might get a little bewildered sometimes when you’re trying to interpret the reports provided to you by your marketing team. They can be loaded with unintelligible acronyms, as well as lots of terms which marketers understand, but no one else can make heads or tails of. 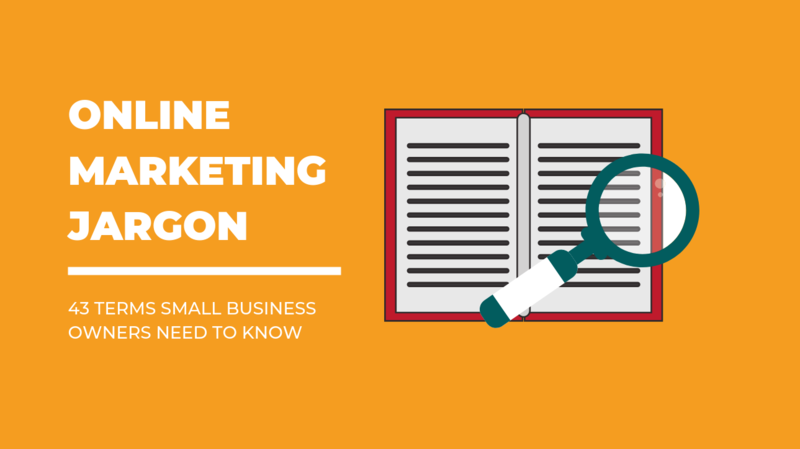 To help you get more out of the information provided to you by your marketing team, the glossary of terms below is provided, and hopefully it will include most of the terms you’ve had trouble understanding in the past. API – Application Programming Interface, which is an interface that allows applications to communicate with other applications. Adwords – This is the technology behind Google’s pay-per-click advertising, which targets advertisements to specific searches. A/B Testing – This involves testing some new marketing procedure against a proven one, to determine its effectiveness. Blog – Short for web log, this term is used to describe a regular posting on a website which reflects the views of one or more users. Black/White Hat SEO – Search engine optimization involves those actions which tend to elevate your website in search engine rankings. White hat activities are those which follow searcn engine rules, while black hat actions are less ethical, and may include spamming. Backlinks – Backlinks are links to your website from other sites, and these are highly favored by the search engines. CRO – Conversion Rate Optimization. The actions related to increasing the rate of users who are just browsing and are converted into buyers. CPC – Cost per click. This is also known as pay-per-click (PPC), and it’s a method websites use to bill you, based on the number of times that a visitor clicks on an advertisement. CTR – Click through rate. This is a ratio which defines the number of users who actually click on a specific link, compared to the total number of users who view the page. Content – Text, videos, images, and any other materials which are posted online to a website or on the social media. Circles – Groups of friends in a network on Google+ are generally referred to as circles. Campaign – A campaign in marketing will generally consist of a number of related actions which are all intended to accomplish a specific goal, such as raising awareness for the company brand, or increasing the volume of sales monthly. Dribbble – Dribbble is a community of online users who are banded together for the purpose of uploading photographs they’ve created, and sharing information about techniques, etc. Digg – An online news website which allows users to submit news items, and also permits users to vote on whether or not they liked them. Freshness – In computer terms, freshness generally refers to having new links which direct traffic to your site. Over time, links grow stale because they become clogged with outdated material. Forum – A forum is an online discussion site, in which users gather to discuss topics of interest, and sometimes to seek solutions to problems. Follow – Choosing to see all those tweets created on Twitter by a user whom you want to associate with. Flickr – A social website which is primarily founded for the purpose of sharing photos and discussing them. Google+ – One of the newest social websites, Google+ combines all the other services offered by Google into one convenient website. Google Analytics – This is a free tool which is browser-based, and which can provide a wealth of information about the habits of online users, which makes it extremely useful in marketing and advertising. Geo-targeting – The displaying of search results based on your geographic location in the country, which is very important for users searching for nearby goods and services. HTML – Hyper Text Markup Language. This is the language of the world wide web, and everything which appears on it is written in this language. Hashtags – A method of drawing attention to some portion of a post, a hashtag (#) highlights the text following it, and can be searched for on Twitter. Instagram – A social media platform which runs as a mobile application, originally focusing on uploading photos and applying filters to them. The platform is now broadening its appeal to users. Influencer – Someone like a celebrity or expert in an given field who can persuade followers to make a purchase or perform some other desired action, simply by virtue of their popularity. Klout – This is a numerical representation of your total influence in the social media, and is a number between 1 and 100. Keyword – A term or phrase that is used by an Internet surfer to find desired content. Keyword stuffing – This is a black hat SEO technique which seeks to cram in extra keywords on a webpage for the purpose of achieving a higher search engine ranking. The newest algorithms used by Google are sophisticated enough to detect this, and penalize a site for using the technique. LinkedIn – A social media website which is primarily geared toward business professionals. Landing page – This is the specific webpage that a user is directed to when he/she clicks on an advertisement or a result provided by a search engine. It is sometimes the homepage of a website, but a better use of it is to create a separate page which is completely related to the search terms which were used. News feed – A service which doesn’t always provide just news to its user base, but may be a compilation of tweets created by users you may be following (on Twitter), or a summary of your friends’ postings on Facebook. PPC – Pay-per-click. See CPC (Cost-per-click) above. Platform – A framework used for presenting content to users and for running software. All the social media are considered to be platforms. Pinterest – A very popular social media platform, used in large part by Internet users who like to create image boards for themselves. RSS – Really Simple Syndication. This service delivers news items and stories to users, so they don’t have to visit tons of individual sites to read the same news stories. ROAS – Return on Ad Spend. This indicates the amount of profits made as a direct result of money spent on a specific advertising campaign. Retweet – An action in Twitter which resends someone’s original tweet to a number of other followers. Social media monitoring – The act of monitoring conversations and discussions online, so as to determine what users are saying about your company and its products or services. SEO – Search engine optimization. All those actions which tend to increase the ranking of a website, so it will appear on the first page or two of results returned to users who are conducting searches. Twitter – One of the most popular social media sites, it allows users to post 140-character tweets on topics of interest to them. WordPress – The most popular content management system (CMS) used on the Internet, it powers more than 70 million websites globally. WebCrawler – These are also known as bots or crawlers, and their purpose is to index all pages of a website, and scoring them based on the current algorithms used by a given search engine. Have another bit of marketing jargon you’re not sure about? Let us know in the comments!